It’s fair to say that when most of us use Twitter, we rarely have insurance on our minds – we’re usually just having our say on the latest news story, or maybe sharing something from our own lives. However, it now seems that the insurance industry may soon be paying closer attention to our social media activity. 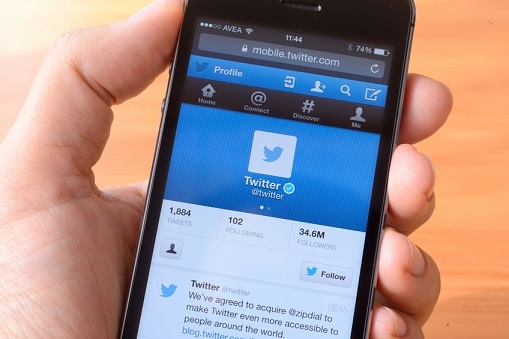 According to a Reuters report, tweets could soon be used to help insurers price premiums – with research cited by Swiss Re suggesting that positive tweets actually form a direct link to a reduced risk of heart disease. Last Friday a huge cyber attack was launched – possibly the first ever from the internet of things – are you ready for all the latest issues facing cyber insurance? Such a finding is, the report suggests, likely to lead to further assessments of social media activity with big data and artificial intelligence used to make predictive models as accurate as possible. According to Swiss Re, the second largest reinsurance firm in the world, such technological advances have the potential to reduce the price of insurance cover while also helping insurers to create more incentivized driven programs – such as rewards for healthier living or safer driving. The naysayers meanwhile, believe that these developments could ultimately breach consumers’ privacy and lead to personalized pricing, which goes against the idea of sharing risk which is normally associated with insurance. For Swiss Re, the concept of social media monitoring is just one element it is examining to potentially improve its policy pricing. In addition, the company has invested in digi.me – an insurtech start-up that lets consumers store personal data taken from various social media channels and exchange that data for personalized deals. Speaking to the newswire, Daniel Ryan, the company’s head of digital analytics catalysts, remarked that most of the major insurers “will have integrated lessons from behavioural research” within the next few years. It is hoped that highlighting safe behaviors will not only assist with reduced insurance premiums, but will also encourage consumers to live in a healthier and safer manner. Of course such programs are nothing new, with telematics already playing a key role in car insurance; while the Vitality health and life insurance program is used to assess a consumer’s overall health, create a personalized plan and then tracker the user’s progress. These programs however, are not just being used to highlight the “best” consumers – they can also be used to penalize those who do not live up to expectations. As such, there are those who worry that people who are not willing to improve their personal circumstances would lose out. During September, the Financial Conduct Authority (FCA) in the UK decided to drop a potential market review of whether big data would make it harder for customers to buy home or car insurance, suggesting there was no evidence to that effect so far. However, in Germany a stronger stance has been taken with the Federation of German Consumer Organisations outlining that the risks of big data may outweigh the benefits in personal insurance. It has expressed concern over the possibility of insurers cherry picking the safer risks. As for Swiss Re, it states its focus is on collective, as opposed to individual, results. Yet Twitter monitoring will, for now, remain outside its remit – with the reinsurer stating that rigorous ethical checks would be needed before it would consider adding Twitter to its underwriting scheme.